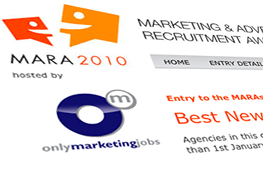 idibu is proud to be main sponsor of the 2010 MARA Awards, hosted and organised by onlymarketingjobs.com and look forward to attending the GALA on December 2nd when the MARAs concludes with a spectacular presentation and dinner to be held at the sumptuous Jumeirah Carlton Tower, Knightsbridge, London. 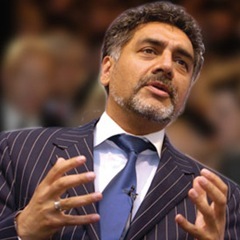 Headline speaker at the inaugural event is to be James Caan. James, who needs no introduction is recognised as one the recruitment industry’s most successful and engaging personalities. At what promises to be a spectacular evening recognising the marketing recruitment industry’s best talent, Mr Caan will be addressing the subject of ‘Looking to the Upturn’ which will be followed by an interactive Q and A session. Dinner and the announcement of the winners will follow. With the attendance of Mr Caan, the gala represents a unique opportunity for not only marketing but other recruiters to come together and celebrate what promises to be a remarkable adventure for the industry, as well as providing chance to banish the blues from a challenging year. A drinks reception will be followed by a 3-course meal, networking and, of course, presentation of the awards themselves. Seats at the dinner tables are available now click here to order yours or send an email <link to simon or mara site> here for more information. If you want to know more about MARA 2010 or read more of the onlymarketingjobs.com blog, then click here.